The Purdue Engineering Student Council is once again hosting Engineering Tomorrow. This event requires online registration and will be held at at The Neil Armstrong Hall of Engineering on Purdue University’s campus in West Lafayette, Indiana. This event is designed to encourage children from grades kindergarten to 8th grade to learn more about the engineering disciplines through age appropriate, hands on design activities. Parents are welcome to attend the event as well. This program is free of charge and all participants will receive lunch. 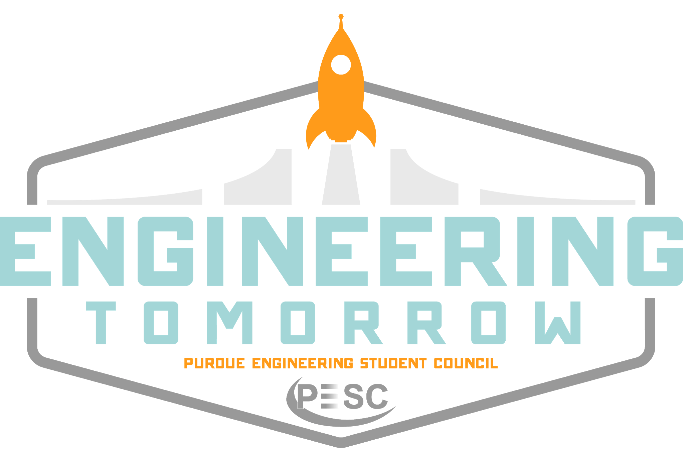 PESC requires that students provide their own transportation to and from the event, whether at the partnering school or at Purdue University for the fall Engineering Tomorrow event. If you have any additional questions or concerns, or would like to partner with PESC for future student events, feel free to contact the Engineering Outreach Committee at pesceo@ecn.purdue.edu .